One of the downsides of pet ownership is the wear and tear they do to your home, and no aspect of your home takes a bigger beating than your flooring. 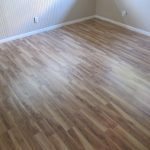 If you’ve noticed that your hardwood or tile floors are looking dull and scuffed or that your carpet is a few shades darker than when you had it installed, there’s a good chance Fido is at least partially to blame. The good news is that there are some simple steps you can take as a pet owner to help localize and prevent pet damage. And even better, there are number of flooring products and maintenance solutions out there that make it possible to enjoy man’s best friend and beautiful floors at the same time. If you’re concerned about the damage your pets might be doing to your flooring, the best thing you can do is limit their access and activity when indoors. Make certain rooms (especially those with at-risk flooring) off-limits to your pets with baby gates or closed doors. Also, designate “pet areas” in the rooms where they are allowed so that the damage they cause is localized. If you’ve got doubts your dog will buy into the idea, keep in mind that if you make the space cozy enough your dog will gravitate to that spot on their own. A dog bed is a good first step to take. You can buy a dog bed in just about any size, shape or style you can imagine. There are designer dog beds, basic floor pillows, memory foam mattresses, simple mats and blankets, and just about everything in between. Style isn’t nearly as important, however, as buying a dog bed that your canine will spend time on. Some of the burdens do sits with you, however. It’s important you make it clear to your pooch that when he’s inside, the dog bed is where he needs to be. Doing so will drastically cut down on just about every form of damage your dog does to your flooring. If you’re looking for a more permanent solution, take a peek at laminate flooring. 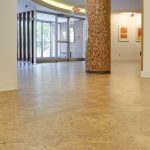 It’s virtually scratch and scuff proof, making it a perfect flooring for pet owners. 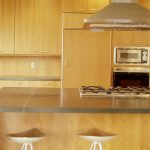 Laminate is available in a huge range of styles that mimic everything from hardwood to bamboo to stone flooring, so you’ll be hard-pressed not to find a product that will match your home. 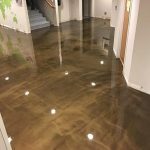 And even better, it is very easy to install and one of the most cost effective flooring materials to install on the market. Talk to a flooring supplier or contractor about the best options for your home and situation. 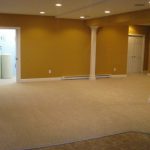 Need to find a pro for your Flooring Project? 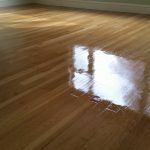 If you like the flooring you do have, remember that there are refinishing techniques that can make a pet-damaged floor look new again. 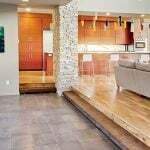 Hardwood can be refinished for a price, while tile, cork, and stone flooring can be protected with a sealant that can also be stripped and re-applied later when it loses its shine. Finally, remember that regular cleanings are the best way to prevent pet damage. Sweep hard surfaces on a daily basis since the presence of dirt, sand, and grit are their biggest enemies, and vacuum carpets regularly. Finally, be sure to schedule an annual professional carpet cleaning. Doing so will keep your carpets looking brand new year after year, even if your pooch does leave a trail of paw prints every once in a while.